Cut the endive julienne and marinade it with with vinegar, half a glass of water, salt and sugar. 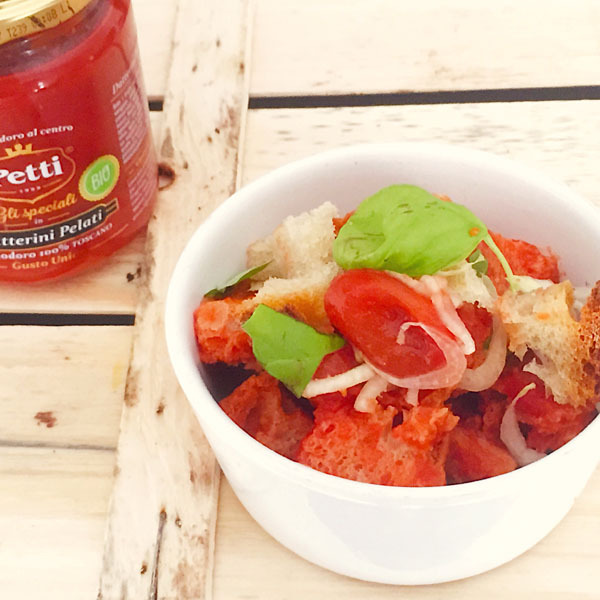 Cut the bread in dices and season with tomato, salt, oil, basil, and the marinated endive. Serve with a piece of oil and a few clumps of fresh Belgian endive.